In order to manage interruptions adequately, the prediction of an office worker’s uninterruptible duration is desired. We assumed three factors that may affect this uninterruptible duration: the type of work, the person’s level of concentration, and the frequency with which the person is disturbed by others. For features related to the type of work, we adopted category of using application and determined the ratio of key-to-mouse usage. 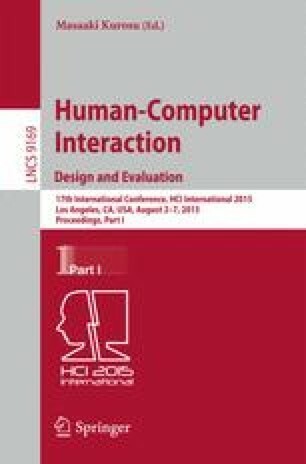 The rates of keystroke and mouse operation and the application-switching frequency were selected to reflect a person’s concentration at work. A time of day was selected as an index which reflects the disturbance frequency. We then analyzed the relationship between these indices and the uninterruptible duration using 1200-h data. The results showed that, except for the time of day, a significant relationship exists between the uninterruptible duration and these indices. The combination of these indices appears promising for predicting the uninterruptible duration. This work was partly supported by Kakenhi from JSPS, the fund for smart space technology toward a sustainable society from MEXT, and the fund for an ultrarealistic communication system from NICT.